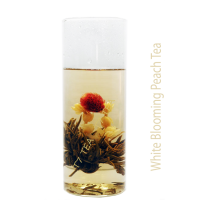 18 Blooming White Peach tea is hand tied with a ring of amaranth and jasmine flowers and infused with blueberry and white peach essence. Each tea tin contains approx. 18 bulbs. 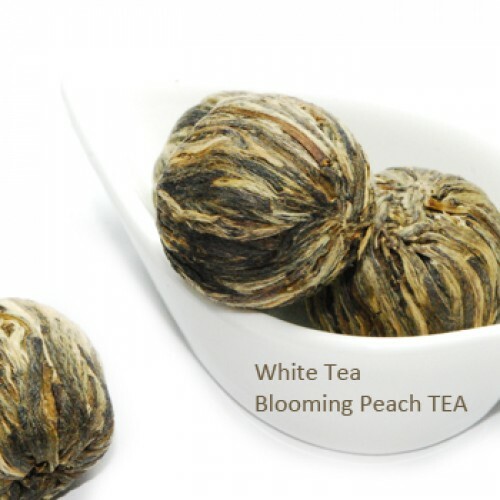 When steep, this beautiful blooming teas will blooms into beautiful flowers and deliver really awesome peach aroma. 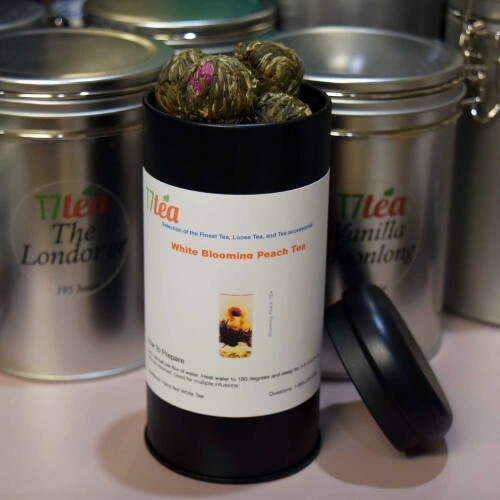 Peach Blooming in Tea Tin is specially design as tea gift idea for those who looking for wonderful tea gift idea for tea lover or tea starter. 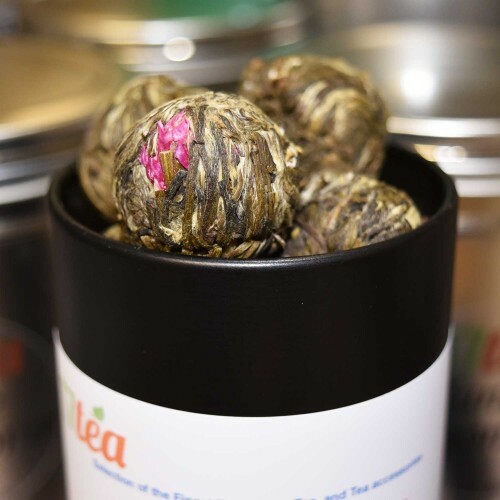 The airtight tea tin not only a visually great as tea gift, it also helps keeping tea stay fresh for longer period of time for both tea color and tea aroma. Get one today, you will not regards. Use 1 tea ball per 8oz of water. Heat water to 180 degrees and steep for 3-4 minutes or until it is fully bloomed. Good for multiple infusions. Suggest using clear glassware, enjoy seeing it blooms while steeping. Where to buy 18 Blooming White Peach Tea-Black Tea Tin?